This half term in Little Stars we have been sharing lots of different stories. 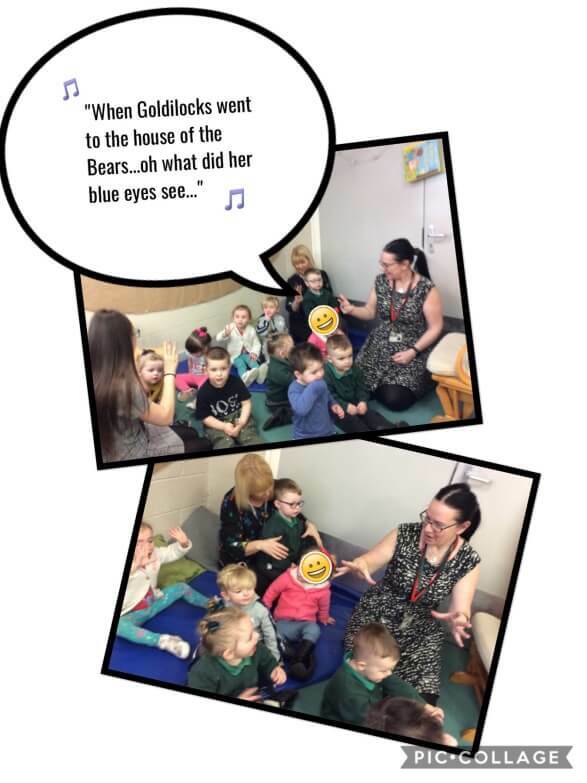 The children particularly enjoyed the story of Goldilocks and the three bears. The children were able to retell the story and enjoyed joining in with the actions to the song. Lots of activities took place within the setting. 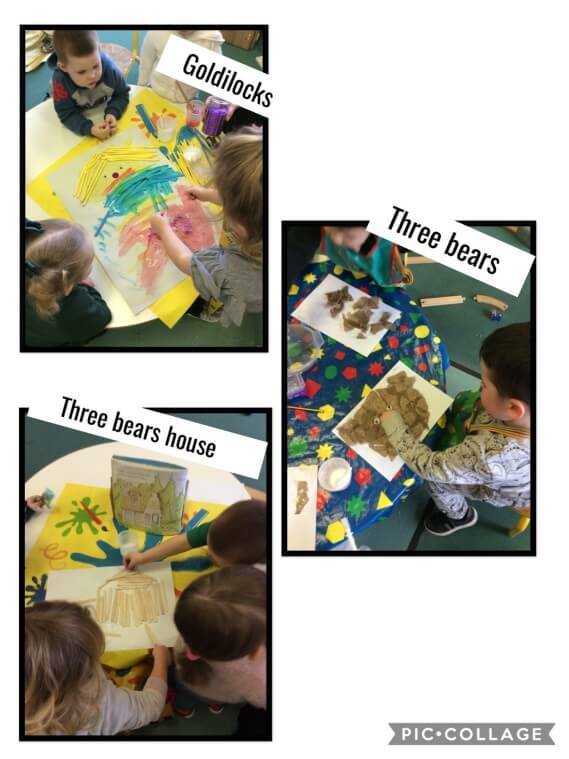 The children created a collage bear, painted goldilocks, made a house out of lolly sticks and re-enacted the story in the porridge sensory tray using puppets. Also this term, the children made beautiful cards for Mother’s Day and created some wonderful sparkly eggs to celebrate Easter.